I totally needed to crash your party on this episode. You guys missed all my favourites. You barely mentioned Traveller. DIDN’T MENTION Space 1889 or Paranoia, Or Toon, or CAR WARS, or Boot Hill, or Battletech. And your guest totally lost his Canadian card at the very beginning Rob, by saying “I’ve got my big bottle of soda”. SODA? What self respecting Canadian calls pop soda? Loved the episode regardless. The different phases made sense for me. I’m still looking for the game manual for the D6 System. That was brilliantly put together. I always figured there were two kinds of gamers. Those who wanted to war game, and those who wanted to actually roleplay through stories. I think I wouldn’t have wanted to play the weakened characters you guys like though. After all, the point of playing these fantastic games is with fantastic heroes. No one wants the 18 all across the board character (well, lots of people did, but you know what I mean), still having someone effectively useless in fight is pretty much no fun either. There has to be a balance. I’ve been in games where the people were so involved in the role playing side that they abandoned all storylines just to talk to each other in character all night. It’s like watching a murder mystery play when there’s no murder. AAAAAAAA! You MUST continue rightly with several more parts to this show. Call this “The Superhero Role Play Edition” since you played mostly on that. >I totally needed to crash your party on this episode. You guys missed all my favourites. BWAHAHAHAHAAAA!!!! I KNEW this would lure you out! >You barely mentioned Traveller. DIDN’T MENTION Space 1889 or Paranoia, Or Toon, or CAR WARS, or Boot Hill, or Battletech. -Toon is a comedy game, and comedy gaming is a whole other thing; mostly ‘cos it flies in the face of regular gaming. Like any good cartoon, you win by losing. Paranoia sort of fits into this idea as well. Paranoia is a special case for me ‘cos of a review I read WAY back when, which has always stuck with me. The reviewer noted that Paranoia was the only REAL role-playing game out ‘cos it was the only RPG that required the participants adopt a mindset different from their own. That’s an important idea that leads to all sorts of things. Paranoia is also one of the games we played to death around here. -Space 1889 is a special case as well, since I think it’s the first attempt at an “event” game anyone tried. It was released as both and RPG and a series of wargames, and there was a definite feeling they were trying to launch a whole new mass media property; but it never took off. It WAS a good game though. >“I’ve got my big bottle of soda”. SODA? What self respecting Canadian calls pop soda? >I’m still looking for the game manual for the D6 System. I order from them a lot. >I always figured there were two kinds of gamers. Those who wanted to war game, and those who wanted to actually roleplay through stories. >I think I wouldn’t have wanted to play the weakened characters you guys like though. After all, the point of playing these fantastic games is with fantastic heroes. It’s one of them “to taste” things. I remember when I first met Rob, and he started gaming with my group. He made a comment early on to the effect of ” most people play to see what it’s like being a superhero; you guys play to see what it’s like to be average people….” It’s also one of those things that changes over time. 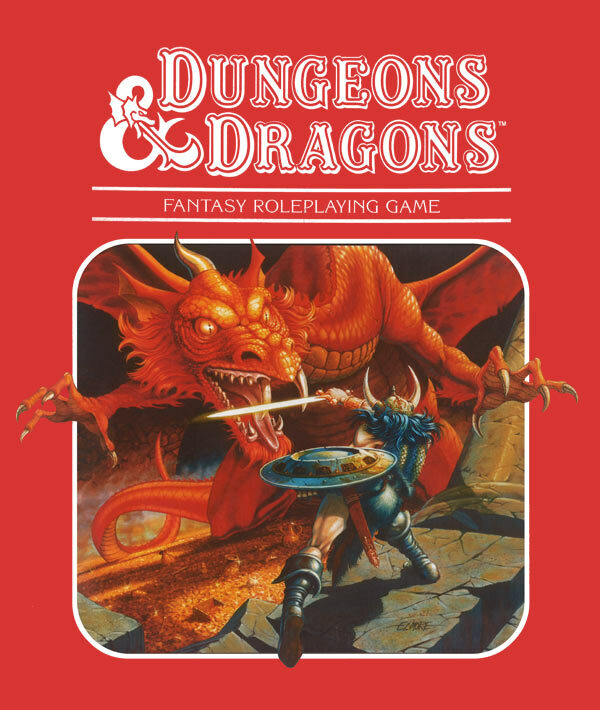 You may play D&D at first to stomp monsters and save kingdoms…. but at some point as you get older and more worldly in real life you might find yourself wondering how the economic system of such a world would work, or maybe you get into political thriller novels, or real world current events…. and that sort of thing starts trickling into your games. Soon you’re playing a D&D campaign where the characters are low ranking nobles engaging in politics, mobilizing their spies and scouts, going to social events where they banter with their rivals instead of just stabbing them…. Or maybe you just keep robbing the money lender. One of the things I love about RPGs is that they’re one of the few hobbies out there that CAN change and develop as the participants do. >having someone effectively useless in fight is pretty much no fun either. ….unless your campaign has little to do with fighting. >I’ve been in games where the people were so involved in the role playing side that they abandoned all storylines just to talk to each other in character all night. It’s like watching a murder mystery play when there’s no murder. AAAAAAAA! Like that. Our Cyberpunk campaign was a lot like that. Everyone made characters with decent back stories, and the games were the characters pursuing their own goals. But that’s the sort of campaign that HAS to happen organically amongst the group, and requires ALL the participants be willing to play that way. >You MUST continue rightly with several more parts to this show. There is SO MUCH to cover we definitely will. >I was asked to Dungeon Master in either the first or one of the first Conventions in Wisconsin. I was like 13 though, and there’s no way my parents would let me go. That’s a bummer! What year was that? Was it the travelling or the convention itself that worried your folks?